Zach Edwards is a busy guy. Ashland Automotive, his shop in the Hersey Street business park, was busy on a recent Wednesday morning and getting him to take a break for a LocalsGuide chat was no easy task. It’s clear that Zach’s shop is busy for a reason. When he opened just six years ago, he knew he was filling a hole. 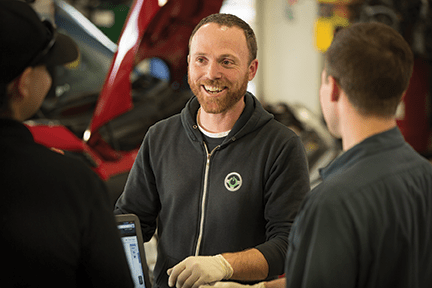 Although Ashland boasted quite a few automotive maintenance and repair shops, none provided the quality and excellence Zach knew was possible. 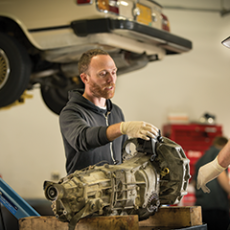 At a time when computers and new technology have complicated old-school car repair basics, cutting-edge education and tools are more important than ever. Zach and his top-notch team of service technicians stay ahead of the curve when it comes to servicing modern vehicles of all kinds. Zach believes that the key to excellent vehicle maintenance is establishing a relationship with a trustworthy shop before problems begin. Looking for the local experts in modern vehicle technology service and repairs? Look no further. 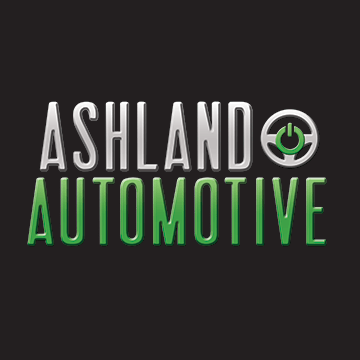 Ashland Automotive Inc. has you covered. Thanks for speaking with us today Zach. How are things at the shop? Thanks for stopping by! As always, good things are happening at the shop. We’re growing every day, and striving for constant improvement. We’re keeping cars in optimal running condition, which in turn, reduces harmful tailpipe emissions. Best of all, we’re getting to know our terrific customers, and we’re providing jobs for great people. We specialize in import vehicles, but also work on domestics. 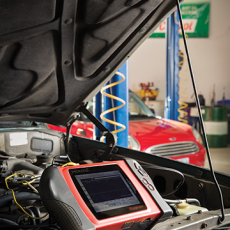 We have highly specialized software for diagnostic and reprogramming capabilities on Audi, VW, BMW, Mini, Mercedes, Volvo, Toyota, and Honda. And of course we love working on Oregon’s state car, the Subaru! One of your goals is to educate and inform your customers in addition to providing excellent maintenance and repair service. Tell us more about that. Our top priority is to help our customers understand their cars, so that they can care for and enjoy them as long as possible. We’re here to provide answers to any of their car-care questions. That said, we find that one of the most frequently asked questions pertains to diagnostic fees. There is a misperception that we plug in a computer and order a part. It’s not quite that simple. Think of your car as the patient, and Ashland Automotive as the doctor. Thanks to modern technology, cars can point to where it hurts, but the doctor still needs to diagnose the problem–and more importantly, the cause of the problem so it doesn’t happen again. 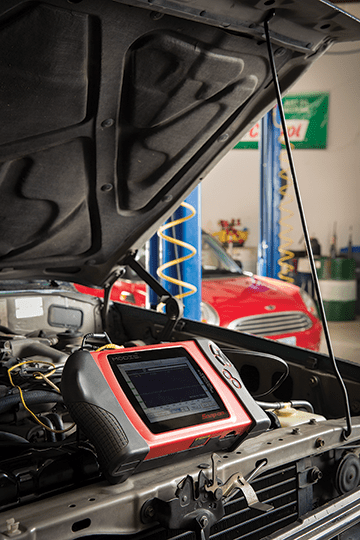 We never just “plug in and order a part.” Our technicians have logged thousands of hours in training, and the shop always stays on top of the latest diagnostic software and tooling. Vehicle manufacturers started using computerized engine management in the 70s, and it’s progressed significantly since then. 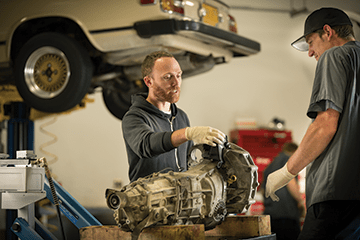 Many car owners are unaware of how much technology is used to operate their vehicles, so it’s understandable that they might not understand the technology, knowledge, and problem-solving skills required to diagnose and fix today’s vehicle problems. You didn’t grow up working on cars. How did you come to this profession? Nope, but I loved driving things as a kid growing up in the Midwest. All my friends lived on farms, and we drove tractors, skid loaders, go-carts, and anything with the keys left in the ignition! When I was eighteen I bought a VW Vanagon and fell in love with it. Driving my VW was an experience in itself, and it led me down an interesting path to Ashland, and eventually to Rogue Community College where I earned a degree in Automotive Technology. I worked in the industry for many years, but was still hungry for more, so I went back to school with the help of a scholarship from the Ford Family Foundation. 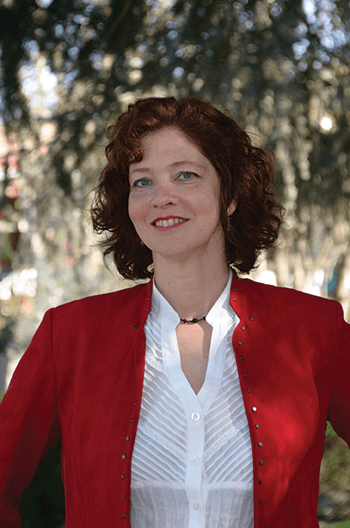 In 2008 I graduated from SOU’s fantastic business school with a Bachelor of Science in Management. Shortly thereafter, I started what has become Ashland Automotive Inc. There are some misconceptions out there about dealership maintenance and new vehicle warranties. Can you clarify these for us? We find that many customers think their scheduled maintenance must be done at the dealership. This is simply not the case. Although many new car sales include the first few years of maintenance in the sales price, there is no voidance of warranty if maintenance is performed elsewhere. You have a theory about saving your customers money. Why should we not be looking for a great deal when it comes to maintaining our vehicles? 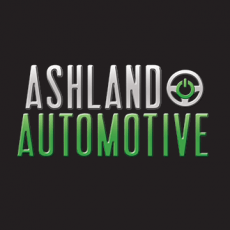 Ashland Automotive Inc. hires professionally trained, college educated technicians. We currently have three ASE Master Technicians on board, and five of our seven staff studied Automotive Technology in college. These guys are incredibly smart, talented individuals who have invested so much in their trade. They have huge hearts and strong desires to help our customers. Our service advisors are the best around, and are also professionally trained in accredited classroom environments. They are trained to help customers through the process of vehicle maintenance and repair. What’s your favorite car to work on? That’s a good question. 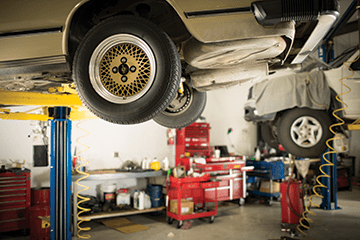 Honestly, I find most of my time is spent connecting with clients, either in the shop or out in public, and keeping up with advances in new vehicle technology. I have an expert staff of technicians dedicated to maintenance, diagnostics, and repair, which frees me up to focus more on making Ashland Automotive the best place to bring your vehicle. 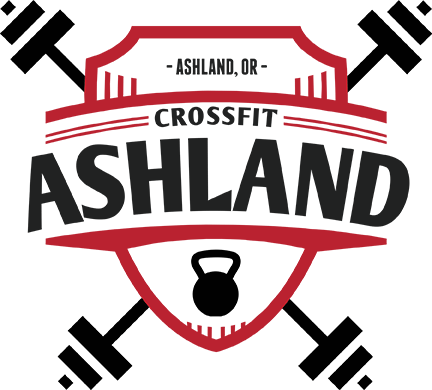 What’s your experience being a business owner here in Ashland? Running a business in Ashland is a dream, and our customers are the absolute best! 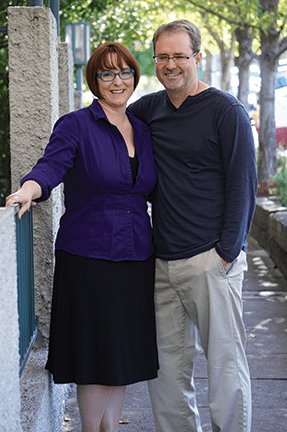 We love getting to know them and being part of such a tight-knit community. It’s great when I run into one of my customers at one of my son’s baseball games, at the movies, or out to lunch. We are truly blessed to live in such a wonderful place. 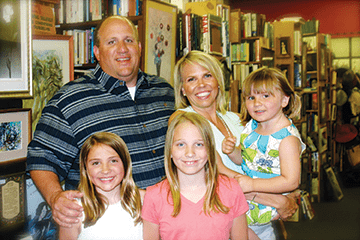 How can readers get to know you and the shop a bit better? What’s the first step? We encourage anyone to come to the shop and check us out. 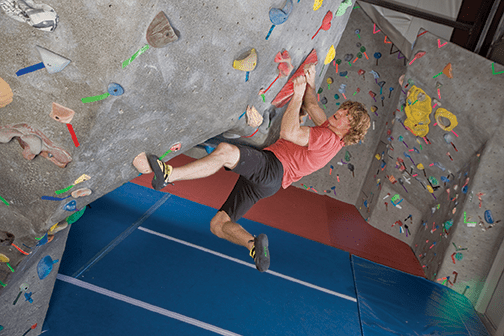 We’re happy to answer any questions, and we love to show off our clean facility. We also have a website which offers a wealth of information www.ashlandautomotiveinc.com. Any final tips for the drivers of Ashland, Zach? What do you wish your customers would do when it comes to taking good care of their cars? Much like going to the dentist, the key to avoiding costly and untimely repairs is preventative maintenance. Floss and brush regularly! Don’t ignore your check-engine light. 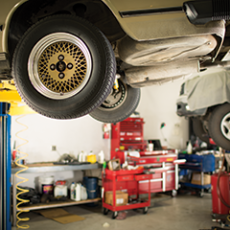 Bring your car in twice a year for check-ups, and follow the recommendations outlined by your service advisors.